Home/Blog/My house is hot, what should I do? 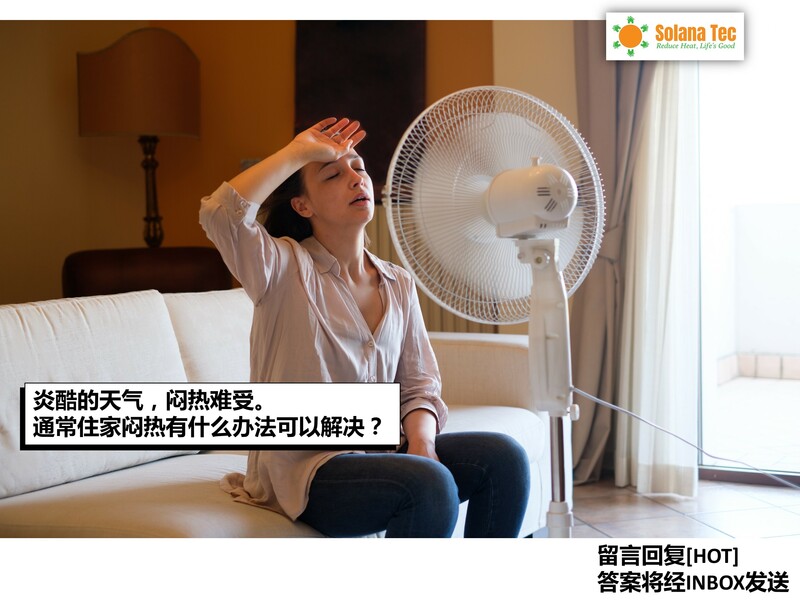 Are you feeling hot and stuffy staying at your home? And, the hot is real when the weather getting hotter recently in Malaysia. This hot issue not only makes you feel uncomfortable but also sweating. 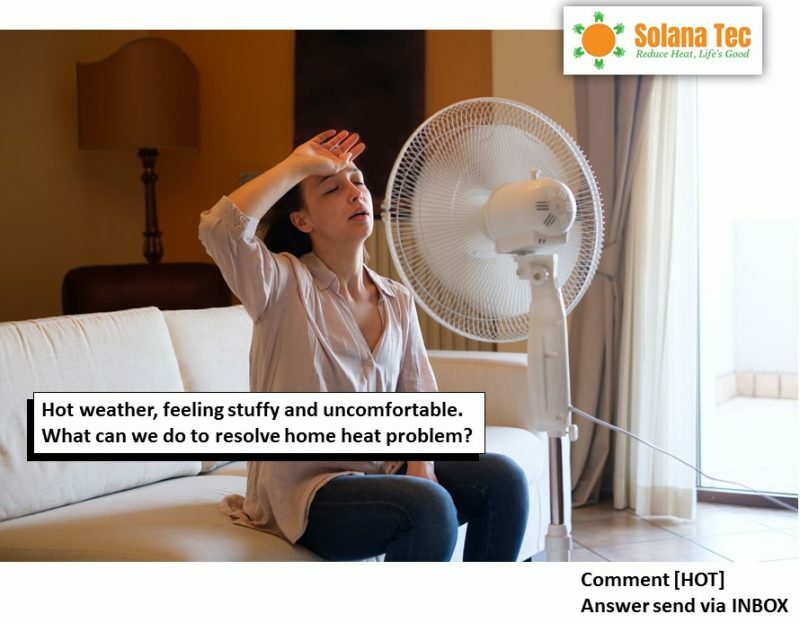 Before thinking about the solution on how to resolve this issue, let’s us look at what causes our home so hot. Your house is hot because of the heat coming from your roof attic. 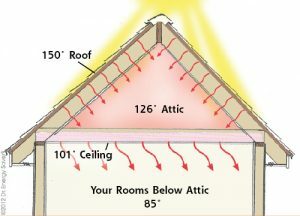 Your attic (space between your plaster ceiling and roof) is heating up by the sun. As the sun rises, the sun will transfer the heat via radiating to your roof. Unfortunately, the attic space is an enclosed space. It gets heat up easily. The temperature of the attic space can easily go to 50-60°C during the afternoon. It is like an oven. The heat accumulated on your attic space will eventually transfer down to your living space. That’s why you feel hot and stuffy at home. Even switching on the ceiling fan, it doesn’t help much, as it only helps circulate the hot air around your house. Another reason why your house is hot is that of lack of air circulation. Imagine if you stay in a room without windows and the door is closed. Soon, you will feel uncomfortable and stuffy. Even switching on a ceiling fan in a closed room, the situation doesn’t improve much. It is because there is no fresh air intake from the outside. Stagnant air makes us feel uncomfortable. The air conditioner is the most common way to cool down your house when you feel hot. It is efficient to cool down your room in a short period of time. 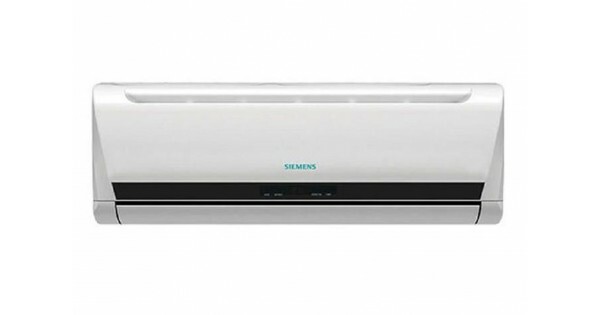 However, the air conditioner might not be efficient to cool down the whole house as the cost can be expensive. It is, even so, when the weather outside is hot. 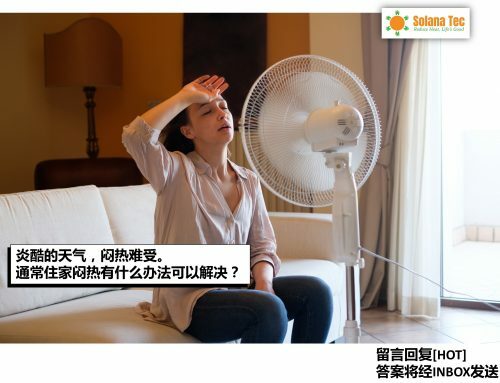 It is because the air conditioner needs to work even harder against the hot environment. 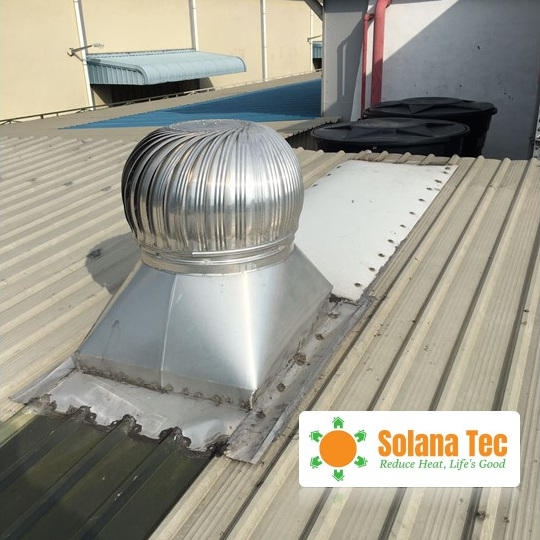 Since we know that the heat is coming from the attic space, in the past 20 years, wind-driven turbine ventilator has been used to remove the hot attic air from houses and factories. Besides, it also helps to exchange the attic air by taking in fresh air from the outside. Hence the overall temperature of the attic can be reduced. However, in the recent years, turbine ventilator has been gradually replaced by Solar Ventilator. It is because of its relatively low efficiency in term of the speed and passive ventilation. Passive Ventilation, in other words, means the turbine ventilator to operate faster when there is wind instead of when people need it the most (sunny day). Solar Ventilator is an upgraded version of Turbine Ventilator. It is also used to remove the hot attic air to outside & bring in the more fresh air to your home. In general, it is up to 8-10 times stronger than the turbine ventilator. 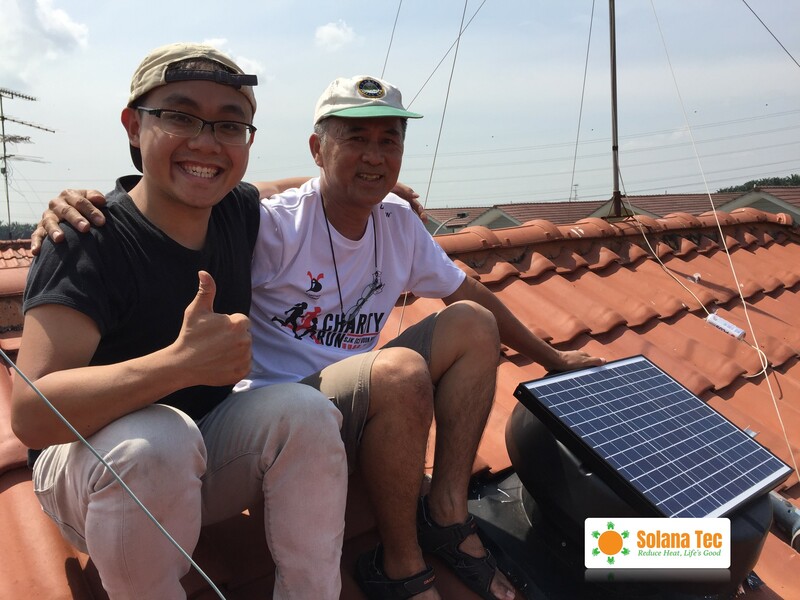 There are 2 main reasons why solar ventilator is much more powerful than the turbine ventilator. Solar Ventilator is run by the DC motor. The DC motor, depending on the model, can rotate up to 1450 RPM or 1750 CFM, which is 10 times faster and efficient than the turbine ventilator, which is run by the wind speed and limited by its bearing. 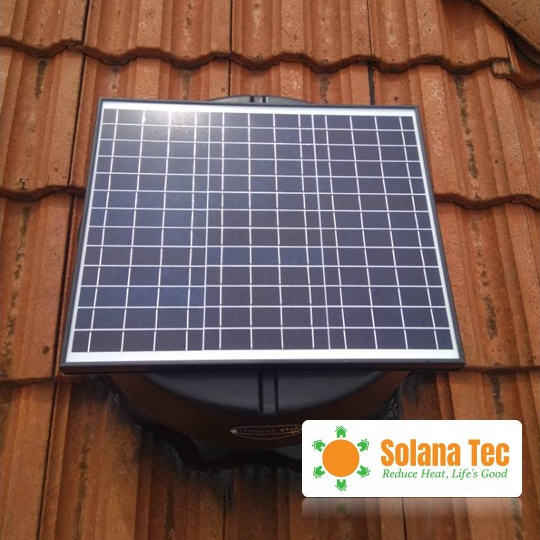 There are more benefits from installing solar ventilator such as no electricity needed, no wiring needed, prolong your roof life, environmentally friendly and etc. 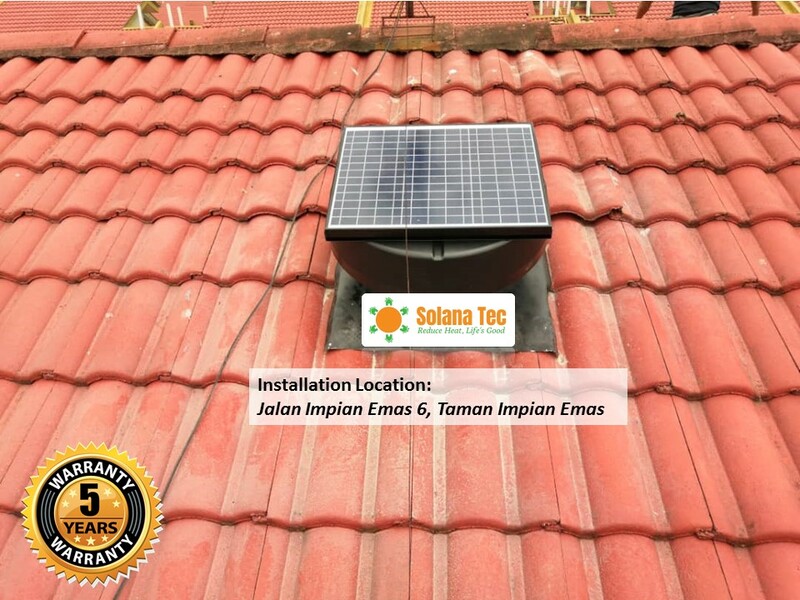 With that, there are more & more people start to install solar ventilators at their home. So they can enjoy a cooler & comfortable home. Thank you for reading our articles. Sharing is caring. If you think it is helpful, do share it with your friends and more people can benefit from it. If you need further consultation on how to reduce heat, do Contact Us here or Whatsapp Us at +6016-7203489 for a free consultation.